So why book pages, you ask? Well, first of all, old books are cheap (usually about a dollar or less at thrift stores), there is a ton of paper to work with, I love the neutral look of the off-white pages, and heck, why not? 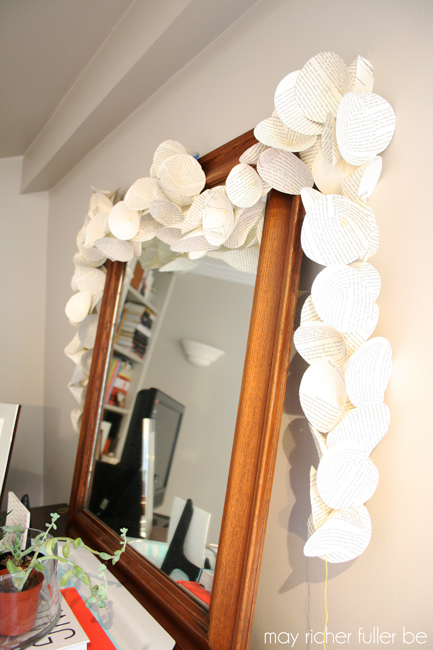 I picked up a book for free at a local thrift store and made all five of the crafts I'll share with you out of it. 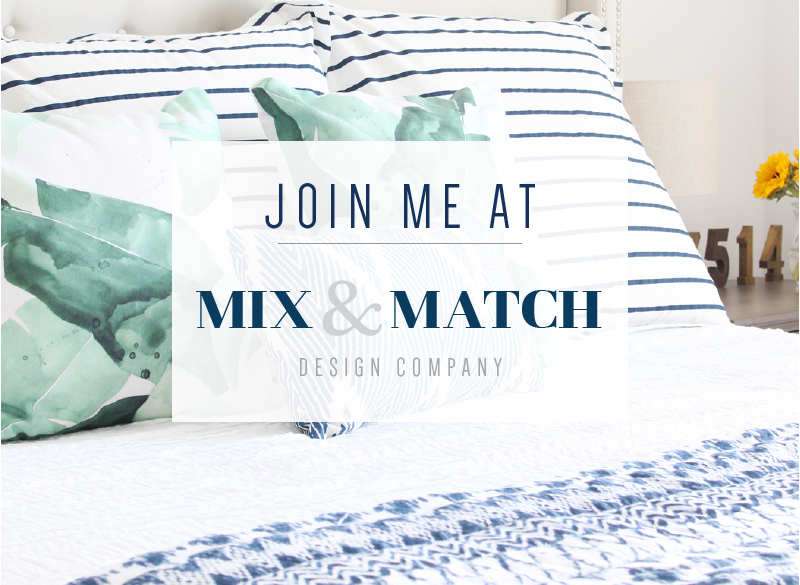 Talk about a budget-friendly set of projects! 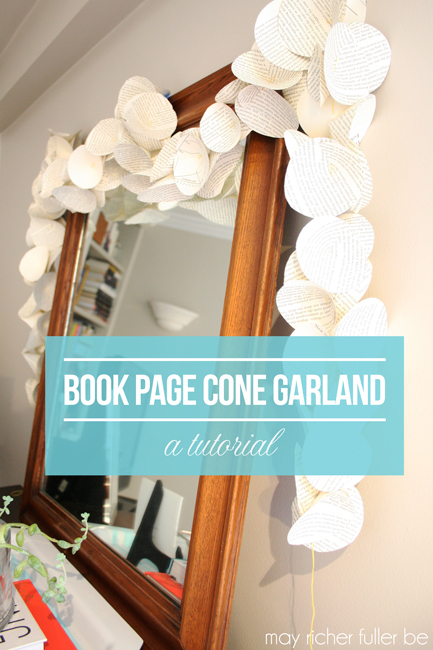 To kick off the series, we're making a book page "cone" garland. Step 1: Cut book pages out of the book. Pretty self explanatory, huh? 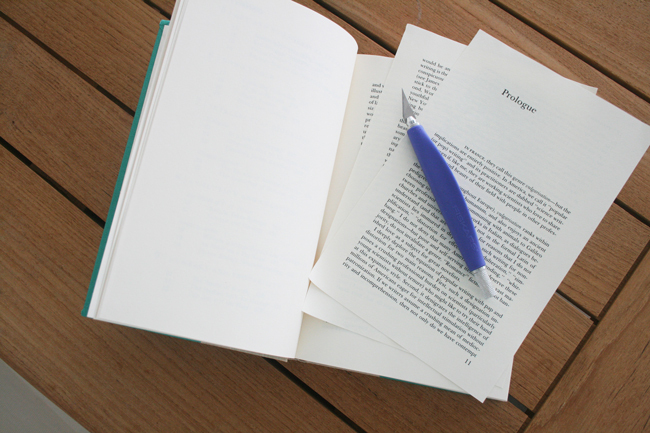 Just use your exacto knife to cut a bunch of pages out of the book. Don't worry about straight lines or perfectly cut pages - you just need enough surface area from each page to cut out some circles. 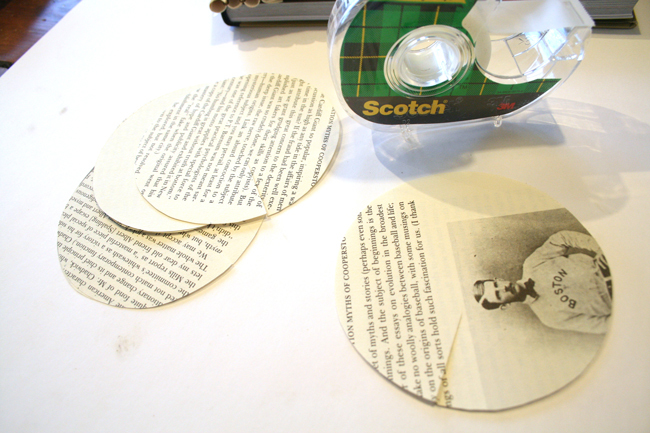 Step 2: Cut circles out of book pages. 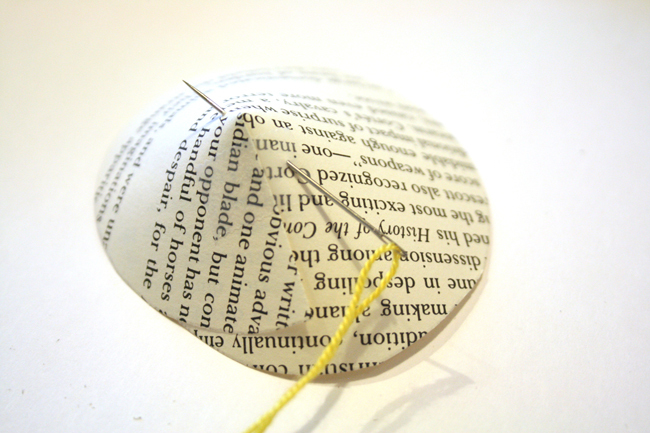 Take some scissors and cut some circles (2 per page) out of the book pages. Again, no exact cutting needed here - just go make sure they at least look kind of round :). Imperfect circles of varying sizes are actually perfect for this craft. To save yourself some cutting time, stack five or so pages together and cut them all at once. Then, while you still have the circles you cut in stacks of 5 or so, cut a straight line from one edge toward the center of the circle. The bottom right circle with that Boston dude on it shows you a good example. Step 3: Form cones out of your circles. Take each circle and fold it in on itself until forms this cone shape you see above. Put a little piece of clear scotch tape on the edge to hold it together. Repeat this step a million times until have a million little cones. Ok, that might be an exaggeration, but just keep making cones until you have enough for a nice long garland. I honestly didn't count, but I kept making them until I thought my garland looked full enough. 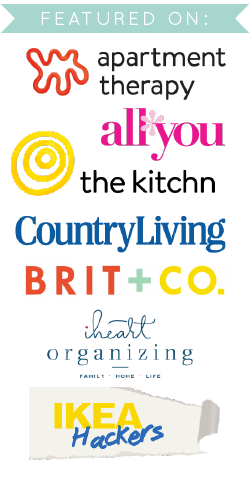 You'll need more than you think. This is a great "sitting in front of the TV watching your favorite show" activity. Step 4: String the cones together with embroidery thread. Thread an embroidery needle with some thread or string, and start "sewing" the cones together. Refer to the photo from step four to see where to place the needle. 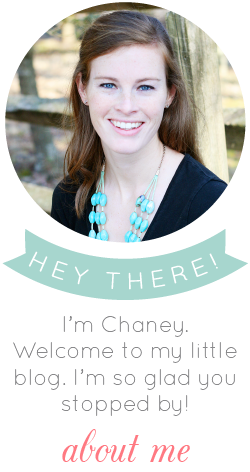 I strung them together through the tops. Repeat this step many, many times. Bunch up your paper cones tightly together as you go so it looks nice and full. It does get a little monotonous, but it's worth it when you end up with a beautiful garland like this! And that's it! This guy is a perfect party decoration, or just a fun little somethin' to put up over a bookcase, mirror or a big empty wall space. It only takes about an hour, and it has a big impact. It's a good activity for kids too if they're comfortable using scissors and a needle and thread. Nothing has to be perfect about this, so it's great for anyone to try. 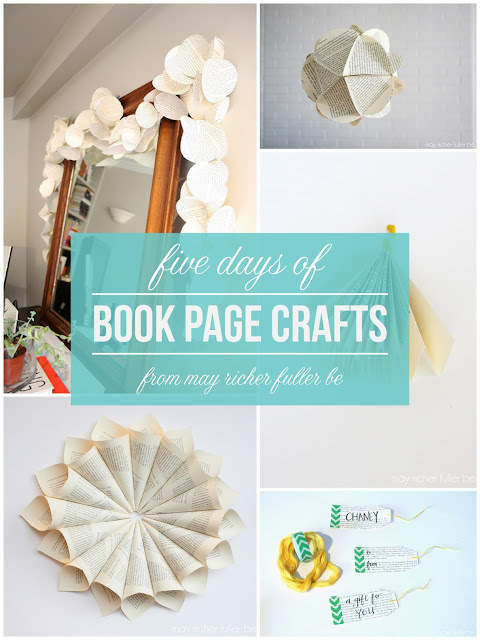 That wraps up our first of five book page crafts - hope you enjoyed it! I'll be back tomorrow with another fun one! 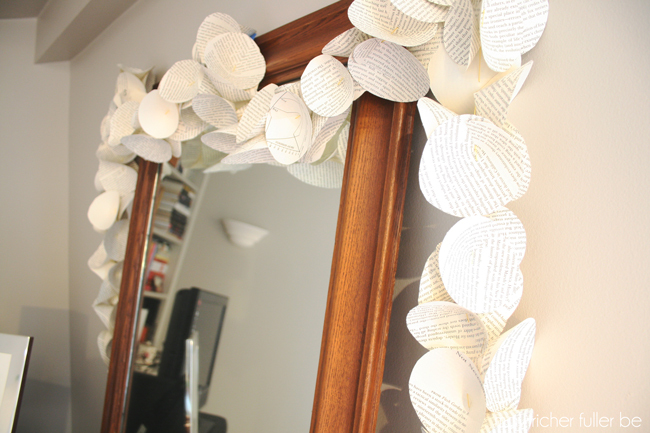 I might have to make some of these to decorate my classroom (English teacher alert... you had me at 'book pages' :). Nice! I happen to have a love of garlands AND of upcycled books, so this is definitely something I will be doing. Thanks for sharing.